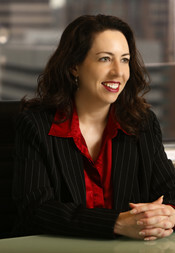 Maria Eggert is the Senior Fiduciary and Business Litigation Paralegal for Cosgrove Law Group, LLC. Ms. Eggert is a vital team member and assists Cosgrove Law Group by maintaining the client files as well as the electronic client database and providing substantial paralegal support to the firm’s attorneys. Ms. Eggert brings solid experience to the firm with refined skills in client relations, paralegal support, and management. Prior to joining Cosgrove Law Group, LLC, Ms. Eggert spent 11 years working in the legal field, specifically in the area of creditors’ rights with a focus on bankruptcy and foreclosure. As a law firm staff manager, Ms. Eggert dealt with auditing and compliance as well as various human resource issues. Prior to entering the legal field, Ms. Eggert was a high school teacher. Ms. Eggert earned her B.A. from St. Louis University and her Paralegal Certificate from St. Louis Community College. She volunteers at a local hospital and enjoys ballroom dancing in her spare time. She is the youngest of her seven siblings and is proud to call Saint Louis home.